C is for Cherie Colyer and Christi Corbett. Cherie Colyer has written multiple young adult paranormal romantic thrillers, and she is an avid supporter of other writers. She advises writers, "The revising process is when I look at my work with a critical eye. I add sensory detail that I may have missed. I add in the necklace that is important to my character because it represents the memory of her mother or the brief encounter with a quirky neighbor that explain something that happens later on in the book. And I add the missing details needed to allow readers to draw a picture of each scene in their minds as they read." Christi Corbett is an award-winning author of historical fiction. She regularly features other published authors on her blog, telling their "Path to Publication" stories. She also features great writing quotes and bits of inspiration to make you smile, like: "No one can read the words you haven't written (Shellie Rushing Tomlinson)." Great profiles and introductions. I appreciate you bringing these bloggers to my attention. Good luck with the A-Z Challenge! 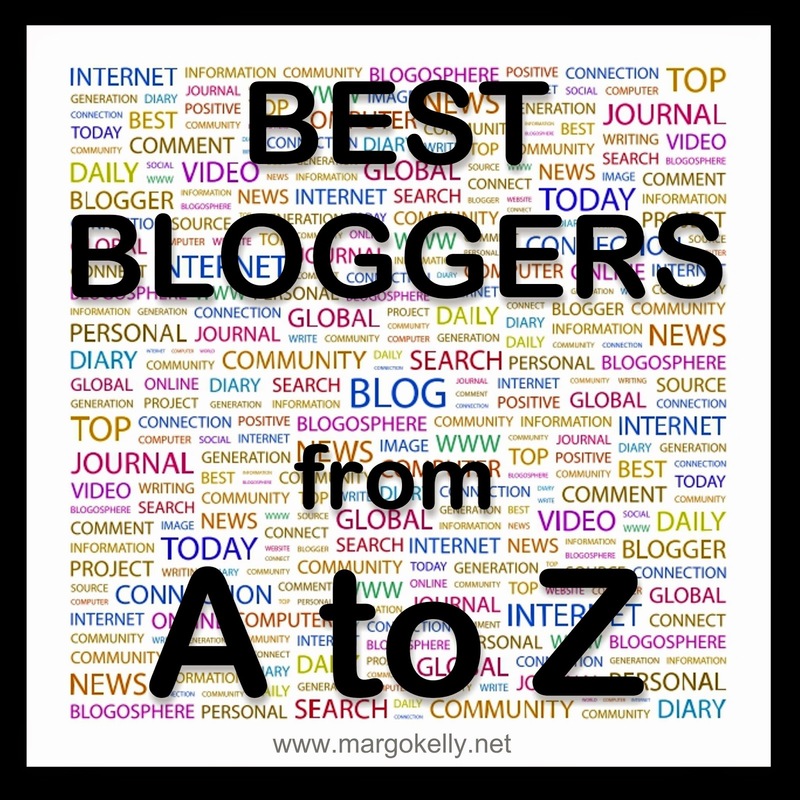 Thanks for introducing 2 awesome bloggers to us, Margo! Nice to meet both ladies. Thanks, Margo. I'm honored to be mentioned and glad to know my ramblings help others. I know Cherie but not Christi - will go say hello! These ladies are both new to me. Thanks for pointing me in their direction. High lighting writers is such a great subject for the A to Z. I will visit those sites immediately.